Carlene passed away Thursday, April 14, 2016 at Borgess Medical Center. She was born June 15, 1931 the daughter of Charles and Philitha (Schultz) Conard. 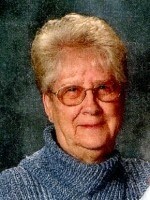 Carlene was a woman of strong faith and loved attending Watson Bible Church. She also enjoyed delivering baskets and cards to shut-ins and to friends in area nursing homes. 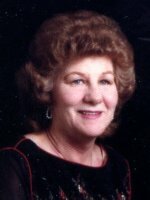 She was an animal lover and in her spare time she enjoyed doing puzzle books, doing jigsaw puzzles, mowing her yard on her lawn tractor, working in her flower gardens, going to yard sales, baking; especially sugar cookies, going out to eat, sewing, doing embroidery, painting ceramics, and flying kites with the kids. In 1949 she married George Oisten who passed away in 2009. Surviving are her daughters, Georgia (Dale) Washburn of Martin and Trudy Henrickson of Allegan; 7 grandchildren, Teresa (Dan) Owens, Dale Washburn Jr., Lynn Washburn, Jennifer Lynn Henrickson, Amber Kay Henrickson, Andrea Nicole (Andy) Bodfish and Kimberly Ann (Justin) Normon; 5 great-grandchildren; 2 great-great-granddaughters and sister, Jackie Adams. She was preceded in death by her parents, husband, and several siblings. A memorial service will be held Saturday, April 23, 2016 at 11:00 A.M. at the At the Master’s Feet Discipleship Ministry in Otsego with Pastor Ray Brown officiating. Contributions in memory of Carlene may be made to Watson Bible Church or At the Master’s Feet Discipleship Ministry. 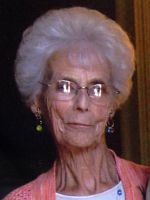 Joan Knight of Martin passed away Friday, July 25, 2014 in Martin. Joan was born April 19, 1931 in Plainwell the daughter of Allert and Myrtle (Grinage) DeMann. Joan had been employed at Allegan Public Schools as a payroll clerk retiring in 1992. 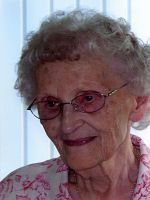 In her leisure time she enjoyed golfing, knitting, playing cards, watching her grandkids play sports, traveling, puzzle books and bowling. On March 30, 1951 at the DeMann Family farm in Martin she married Myron Knight who survives. Also surviving are her sons, Dennis (Kathy) Knight, Duane (Deb) Knight; daughter-in-law, Marie Knight; 13 grandchildren; 18 great grandchildren; her sister, Bonnie (David) Colvin and a brother, Ronald (Sharon) DeMann. She was preceded in death by her parents and a son Don Knight. Friends may visit with Joan’s family from 6-8 P.M. Tuesday, July 29, 2014, at the Winkel Funeral Home, Otsego. A Funeral Service will take place at 11:00 A.M. Wednesday, July 30, 2014, at the Watson Bible Church with Pastor James Collison officiating with visitation from 10-11 A.M. prior to the service. Burial will follow at the South Martin Cemetery. 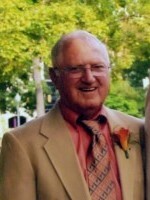 Contributions in memory of Joan may be made to the Don Knight Memorial Scholarship Fund or Reverence Home Hospice.